Alcohol plays a critical role in the minds—and palates—of consumers. High-alcohol wines need high acidity to help balance them out; otherwise, the wine will seem flaccid. Because alcohol is a product of fermentation, the riper the grape at the moment when yeast converts grape sugar into alcohol, the higher the wine’s alcohol level is likely to be. Wines that are higher in alcohol—assuming they are in balance—tend to be rounder and more supple, sometimes even more dense or chewy, and often appear sweeter than their lower-alcohol counterparts. These days, nonfortified wines typically run—or at least are labeled—between 9 and 16 percent alcohol, while back in the ’80s, the norm was between 9 and 14.5 percent. After about 16.5 percent, yeasts start to be poisoned by the very alcohol they’ve created. Inside the wine bottle, it’s about balance and acidity (among other things), while outside the bottle it’s about numbers—and more specifically, what the winery says its numbers are. Some of that has to do with taxes. The higher the alcohol level, the more the winery pays in taxes. Wines that come in at or below 14 percent alcohol are taxed at a rate of $1.07 per gallon; those between 14 and 21 percent alcohol are charged $1.57 per gallon. If the alcohol were to go above 21 percent, the winery would pay $3.15 per gallon. Regarding labeling, wines marked 14 percent alcohol or below are allowed a 1.5 percent tolerance in either direction until they cross the category threshold; wines above 14 percent alcohol are allowed just a 1 percent variation. That means that though a wine might be labeled as having 15.5 percent alcohol, it could really be 16.5 percent. So, if a wine is labeled 14 percent alcohol, is it? Every year, the U.S. Alcohol and Tobacco Tax and Trade Bureau (TTB) pulls a sample of alcoholic beverages and tests them. In 2016, it selected 118 wines and found that two in the 7-to-14-percent ABV category were actually 1.7 percent underproof. Another eight wines were mislabeled and in the wrong tax class—presumably, these wines were listed as being between 7 and 14 percent alcohol but were actually higher. So, of the TTB’s sample wines, roughly 8.5 percent had a proof different from their labeling. Typically, the hotter the year, the higher the alcohol levels in the wines of that vintage. According to researchers from the University of Burgundy’s Center for Climate Research in Dijon, France; the Institute of Biometeorology of the National Research Council in Florence, Italy; and the Department of Environmental Studies at Southern Oregon University in Ashland, the median growing season temperature of wine regions worldwide—currently 19.8 degrees Celsius, or nearly 68 degrees Fahrenheit—has risen 0.8°C (34.4° F) since the 1950s. Barnaby Tuttle, the owner and winemaker of Teutonic Wine Company in Portland, Oregon, set out to make lower-alcohol wines when he launched his winery in 2005. Inspired by the wines of Mosel and Alsace, he sought out cooler-climate vineyards, which led him to Oregon. “You get lower alcohol when you start with lower sugar,” says Tuttle. And cooler climates and higher elevations tend to rein back ripening. In an overall attempt to help keep alcohol low, Tuttle works with really old vines and north-facing, cool-climate, high-elevation vineyards that are dry-farmed. He also uses neutral oak and wild yeast cultivated from individual vineyards. He usually crops heavily, which allows him to get longer, slower ripening and not what he sees as big, extracted early fruit. The last couple of vintages, though, have been tough, he says. They’ve been hotter, and as a result the alcohol levels in his wines have been higher. Still, he’s never watered back and he doesn’t rely on early picking, which can contribute to higher acid levels yet doesn’t often lead to phenolic ripeness. What he does instead is pray for rain. He wants it to rain so the plants can take up that rain—it’s a way to lower Brix naturally. (Brix is the measure of must levels—sugar—in grapes that helps determine what the alcohol content in a wine will be.) For example, in 2012 Tuttle had some Pinot Noir that was at 26 Brix on the first of October. The grapes contained a lot of sugar but lacked flavor and complexity. Over the course of the month there was enough precipitation that by the time Tuttle picked on the day before Halloween, the grapes had dropped to 21.5 Brix—and developed complexity along the way. Randy Dunn, the founder and winemaker for California’s 38-year-old Cabernet-exclusive winery Dunn Vineyards, isn’t shy about his preference for reducing alcohol levels. Today, Dunn regularly reduces the alcohol levels in his wines to roughly 13.9 percent. It’s a practice he’s been observing for more than a decade, ever since a summer with early veraison and heat that came on early and didn’t stop. The grapes picked up sugar before they picked up color, and he knew it, so he let them hang. “Well, lo and behold, I got some stuff that was probably 15.5 percent alcohol. I didn’t like it. I didn’t like the flavors of it, and I didn’t like the heat.” He’s been mechanically reducing his alcohol levels for all but one cool year ever since. When it comes to controlling the alcohol levels in wines, vintners have a few options. In a cold year, and in regions, including northern Europe, where grapes have trouble ripening, winemakers may choose to chaptalize by adding sugar to grape juice or must before or during fermentation. Chaptalization gives the yeasts more to hang on to and to convert into alcohol—it isn’t intended as a means of sweetening a wine but is rather a trick for raising alcohol levels. Two alternative options for reducing alcohol levels are harvesting early or watering back. While picking grapes early can result in higher acid levels, it can also mean less complexity, and sometimes it may result in green notes in the wine, which means the winemaker is sacrificing phenolic ripeness in exchange for lower sugars and lower alcohol levels. Once the grapes are in, winemakers can reduce alcohol levels through humidification—also known as watering back, a process in which the winemaker dilutes the must or prefermented juice with water. While watering back is used, it’s not something winemakers necessarily want to advertise. For his part, Tuttle confesses that he does sometimes add tartaric acid in a year when acids are really low, hits his wines with some sulfites if needed, and halts fermentation by means of cold stabilization. His reds, he says, tend to stop fermentation and come in bone dry on their own; for the whites, he might cold-stabilize and arrest fermentation. Then there are technological solutions, such as using reverse osmosis, which passes the wine through a membrane to strip it of ethanol, or a spinning cone column, which uses centrifugal force and steam for the same purpose. At Dunn, they send the wines out for reverse osmosis. Only alcohol and water pass through the membrane, and the output is then distilled to separate the water from the ethanol. The water is recombined with the color, flavor, and tannins. This solution can then be incorporated into the wine at the winery to lower the overall alcohol of the entire blend. While reportedly costly—no one interviewed for this article would cite prices—a spinning cone column can reduce alcohol strength without sacrificing flavor compounds. A spinning cone column is a gas-liquid counter-current device in which steam separates volatile compounds from liquids or slurries under vacuum. According to California’s ConeTech, a winery sends the company 10 percent of a total blend along with specifications for the wine’s final alcohol level. ConeTech spins the wine until it achieves the set level and then returns it—with a total liquid volume loss rate of 1.7 percent—to be incorporated into the remaining wine, at which point the total solution achieves the goal ABV. One more trick involves the winemaker’s choice of yeast. Wild fermentation makes for less efficient conversions, which can help restrain alcohol levels. Case in point: Tuttle, who uses wild yeast, says that in 2015—the hottest year on record in Oregon—he lucked out and had really terrible conversion levels with his yeast, which helped keep his alcohol levels down. This summer, at the 2017 American Society for Enology and Viticulture conference, researchers from France’s University of Montpellier INRA Science for Enology reported that they have engineered a yeast strain that helps increase acidity while also lowering alcohol. Using a strain of Saccharomyces cerevisiae, they “implemented a combination of evolutionary engineering approaches and classical breeding” to produce the new strain. At some point in the future, this new yeast strain may give winemakers yet another option for navigating rising alcohol levels. 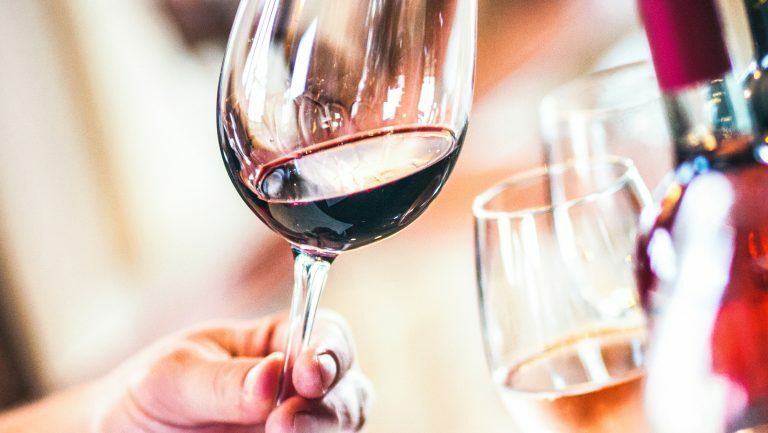 In the meantime, as temperatures rise and consumers still seek moderate alcohol levels, vintners will continue to grapple with alcohol content and the solutions that are most effective for managing it.